How much do Clippers suites cost? 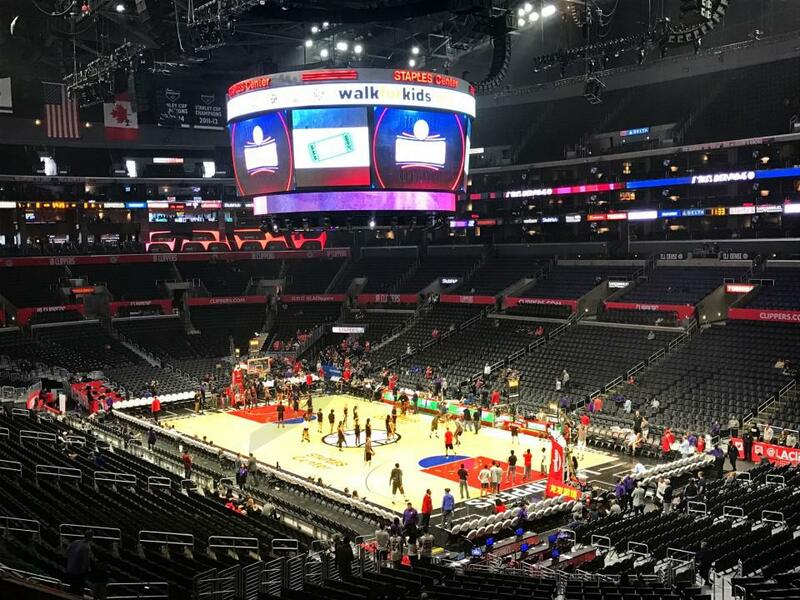 Prices typically range from $2,800 -$6,000 for Los Angeles Clippers suites. Prices vary based on day of game, opponent, and the location of the suite in the Staples Center. 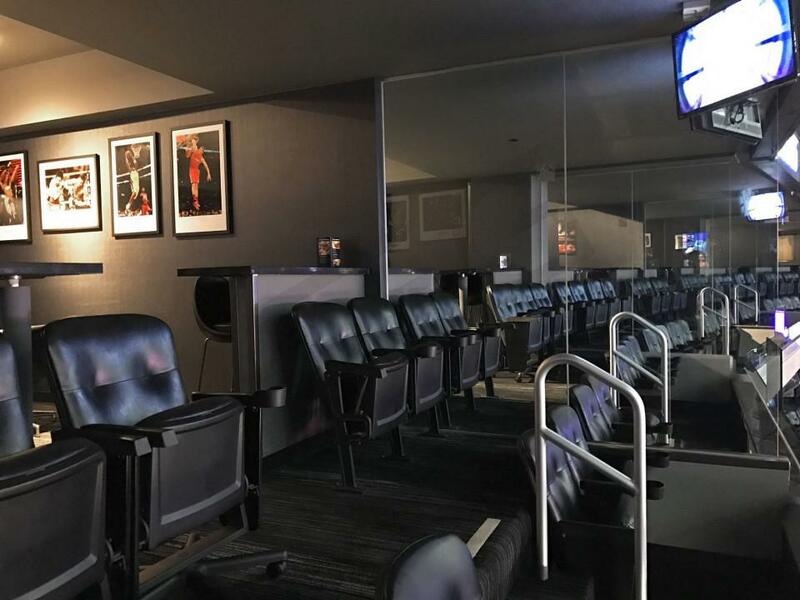 Suites for the Clippers can be on any of the three suite levels. 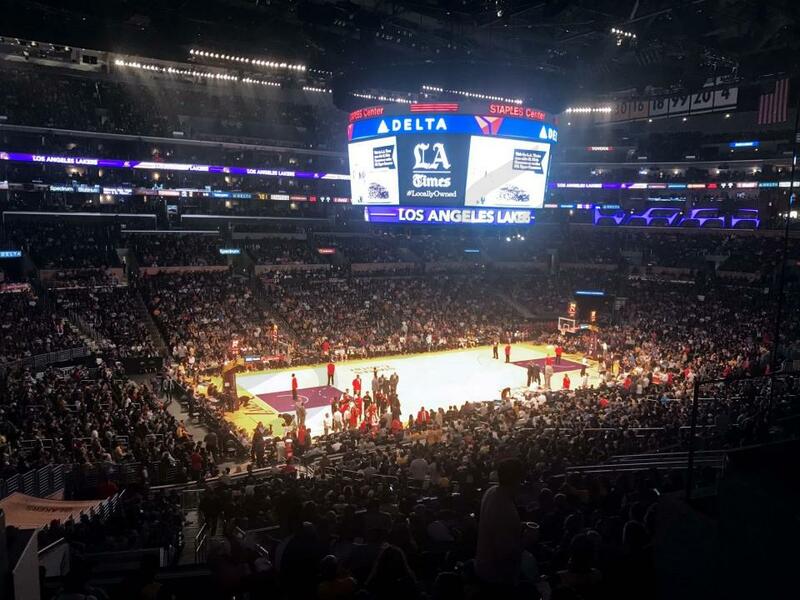 Luxury suite prices for concerts and other events at Staples Center can vary widely based on the type of event. 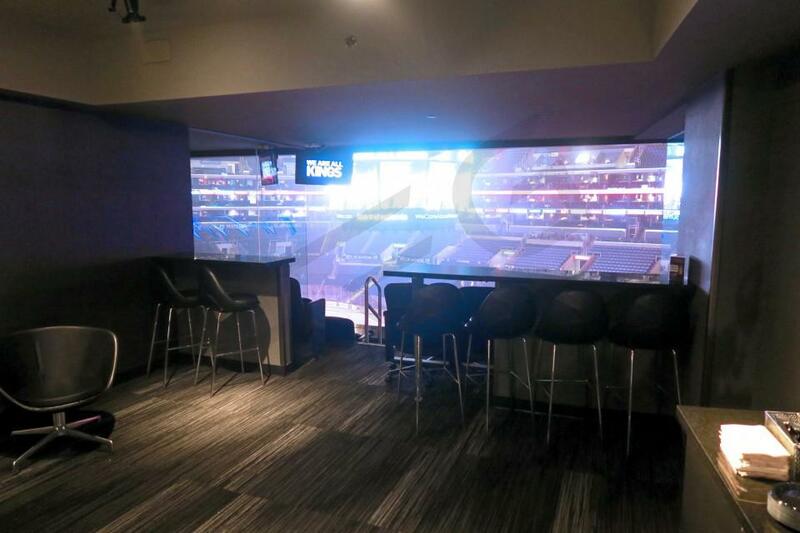 An A Level luxury suite is the first of three suite levels at the Staples Center. For an event, suites will include 12 tickets. Guests will also receive 2 VIP parking passes. Premium in-suite catering options are available to purchase in advance at an additional cost. An A Level suite will be the most expensive level of the three. 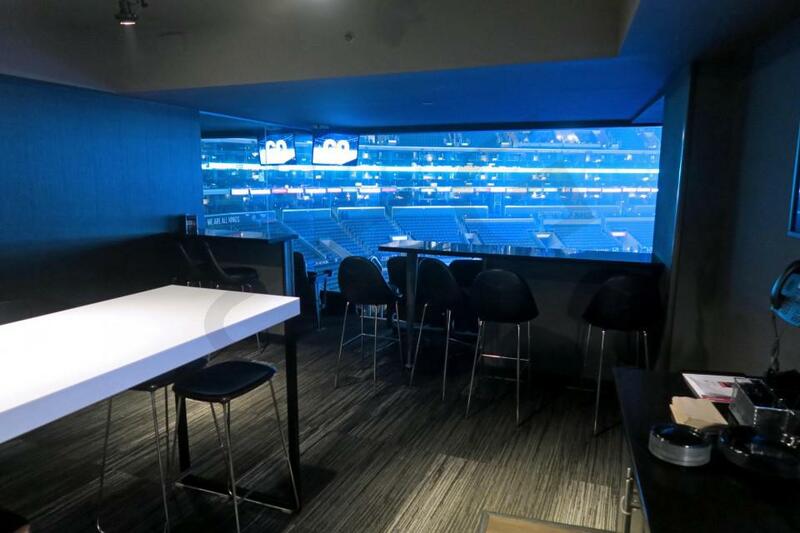 B Level luxury suites are on the second of three suite levels at the Staples Center. Suites will include 12 tickets with an option to purchase up to 6 additional tickets. Guests will also receive 2-4 VIP parking passes. Premium in-suite catering options are available to purchase in advance at an additional cost. B Level suites will be less expensive than an A Level suite. Some B Level suites will also include 4 Lexus Club passes. 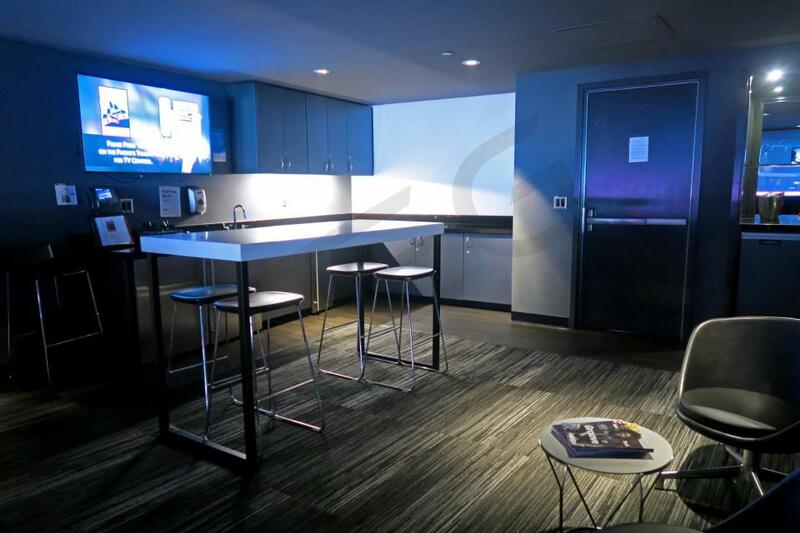 C Level luxury suites are the third suite level at the Staples Center. Located on the C Level is the Hyde Lounge. A VIP club to enjoy a drink at the event. The C Level suites will include 12 tickets with an option to purchase up to 6 additional tickets. Premium in-suite catering options are available to purchase in advance at an additional cost. 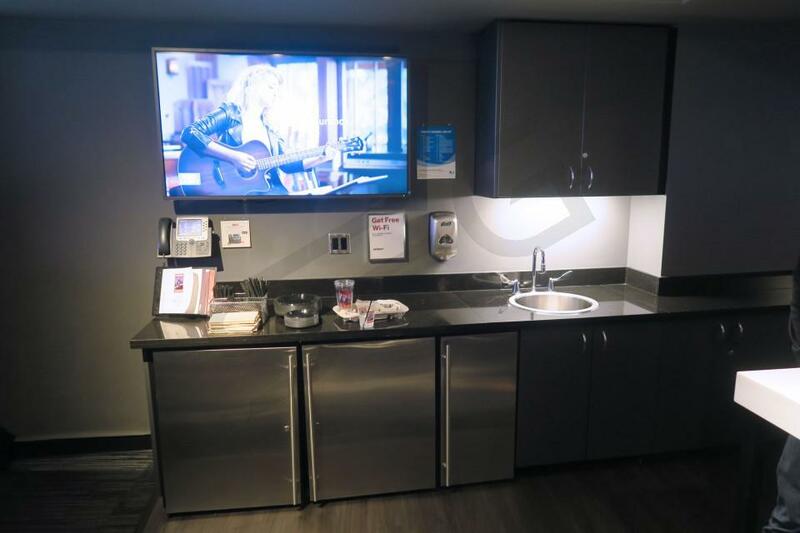 C Level suites are typically the most affordable suites at the Staples Center. 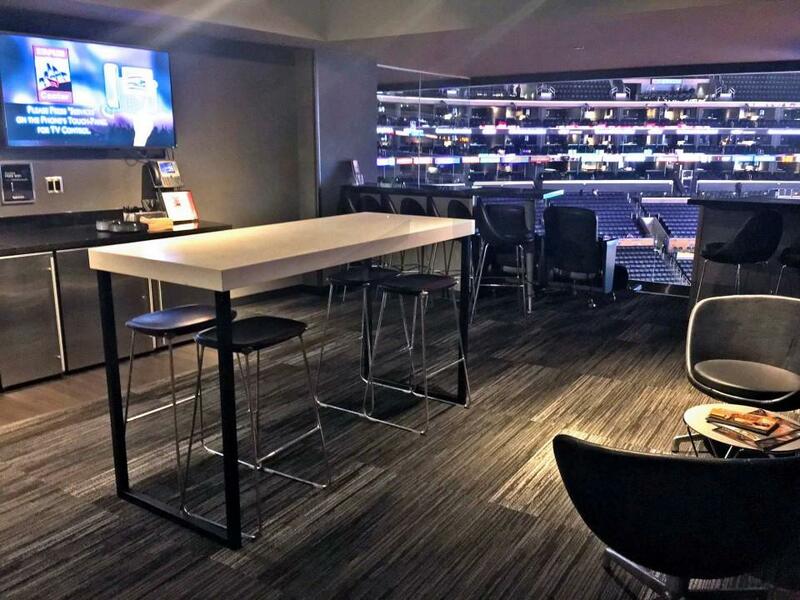 Across the three different suite levels, the private luxury suites at Staples Center can accommodate between 12 to 18 guests in each suite. Most suites come standard with 12 tickets, with the option to purchase up to 6 additional tickets. 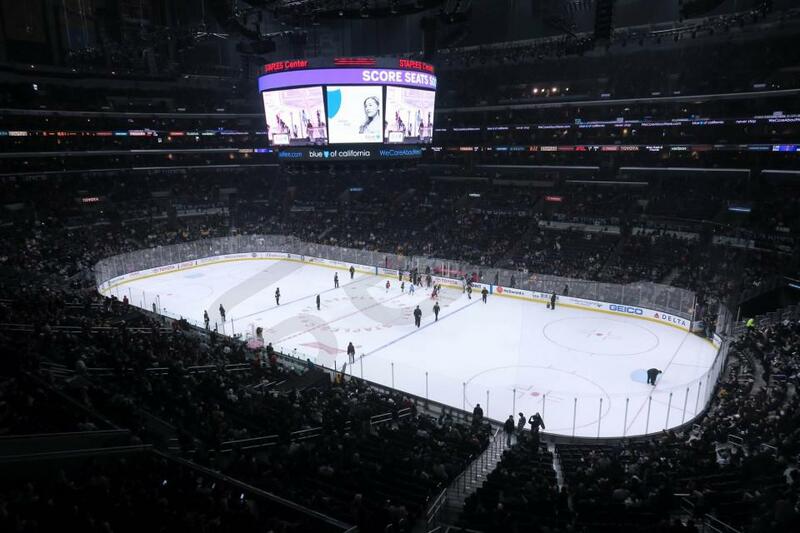 Private luxury suites at the Staples Center commonly range from $2,500 - $6,000. 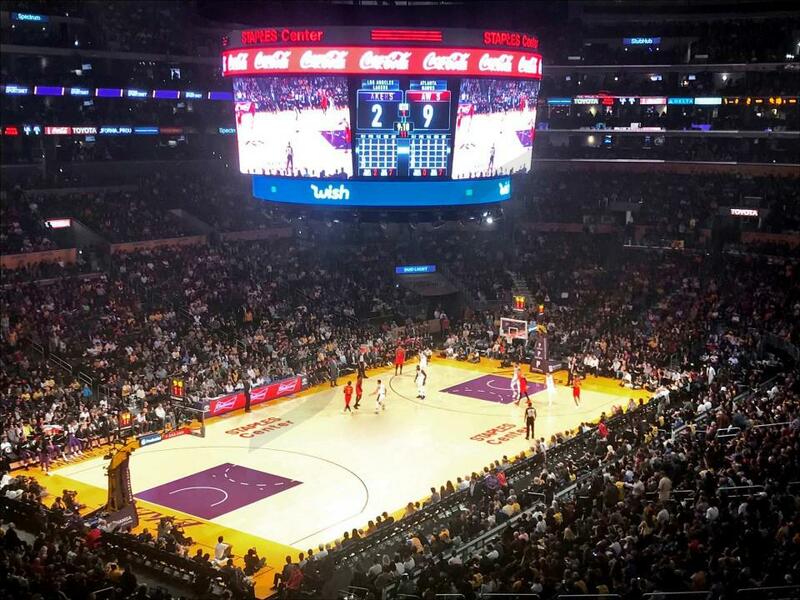 For the Los Angeles Lakers and Clippers, prices will typically range between $2,800 - $6,000. 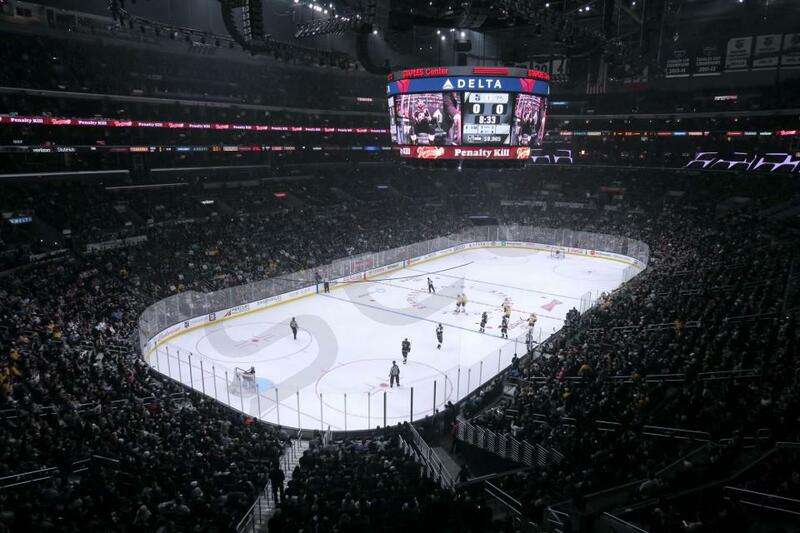 For LA Kings games suite prices will often be between $2,500 - $5,500. 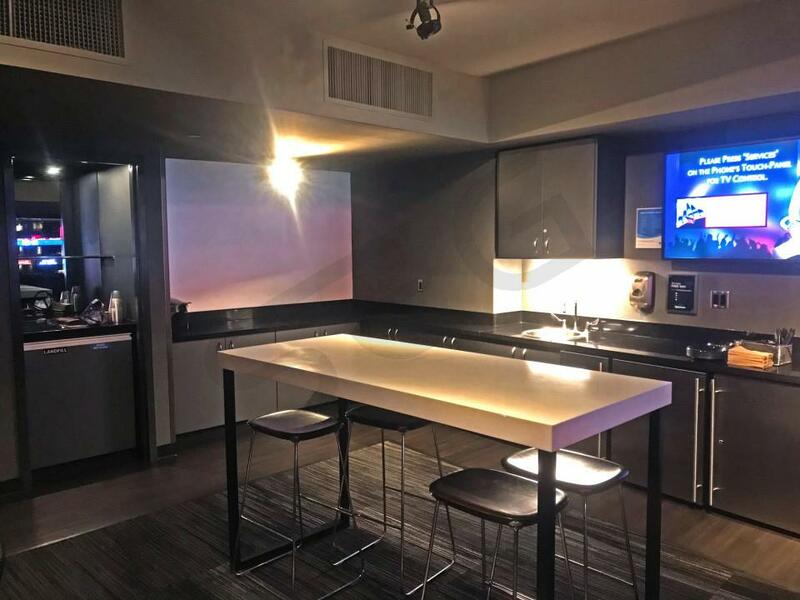 For marquis matchups such as Lakers-Warriors, prices can exceed $10,000 per suite. Luxury suite prices for other events (concerts, WWE, etc.) will vary widely depending on the event. 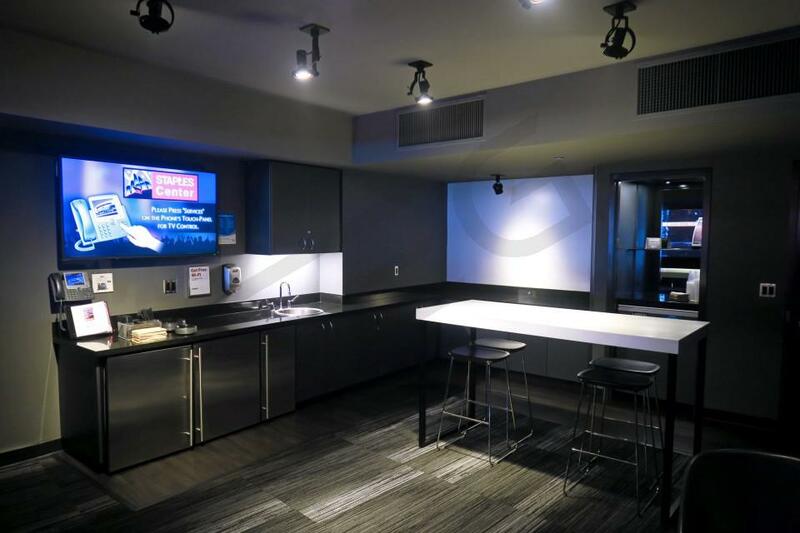 All private boxes at the Staples Center offer professional suite catering by Levy Restaurants. Catering orders for your suite must be placed at least five business days before the event. You can also place food and drink orders on the day of the game through the attendant in your suite. Levy Restaurants has put together a menu that includes different packages and price points. The menu details the minimum number of people required to place an order on a per item or package basis. All ingredients are listed on the menu. 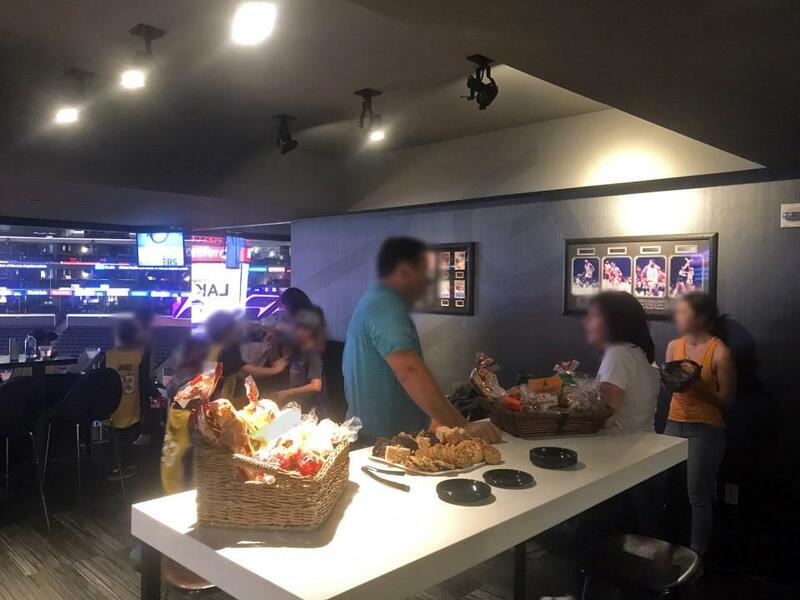 The suite catering menu at Staples Center has many local and international dishes and snacks, including a meatball bar, sweet and smokey wings, vegetarian and vegan options, sushi and much more. All luxury suite tickets will include access to the exclusive San Manuel Club. The San Manuel Club is a high end bar and restaurant just for private suite ticket holders. Located on Delta Suite Level A, The San Manuel Club has many food options, a full bar, and 15 flat screen TVs. The San Manuel Club offers reservations. 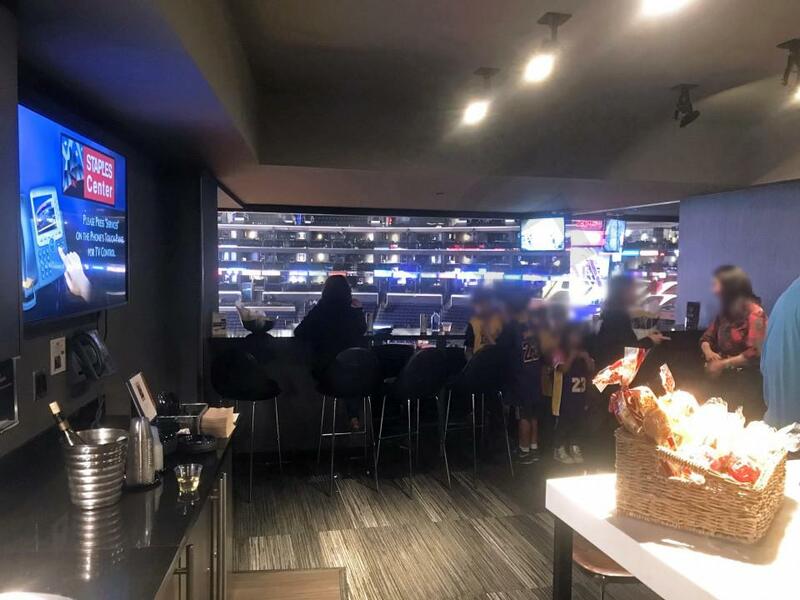 In addition, most suite ticket holders can access the exclusive Hyde Lounge at Staples Center, located on the C Level of Suites. This club has the feel of an LA Night Club with a view of world class sporting events and concerts. A select few suites also provide 4 tickets to the Lexus Club, where guests can make a dinner reservation for white table cloth dining in advance of your event. While there is no right perfect answer here, and it ultimately boils down to what others in your suite will be wearing and the nature of the event. If it’s a corporate event, many guests in the luxury box will likely be dressed in business casual attire. However, it’s not uncommon for guests to wear their favorite team gear with jeans and sneakers. If in doubt, ask the host of your event what they recommend. The Metro bus routes serve all of Los Angeles and many of the busses stop near Staples Center. The lines include 30, 81, 439, 442, 460 and Silver Line. The DASH Bus Route F stops multiple times on Figueroa Street. The MetroLink now has weekend passes for only $10. 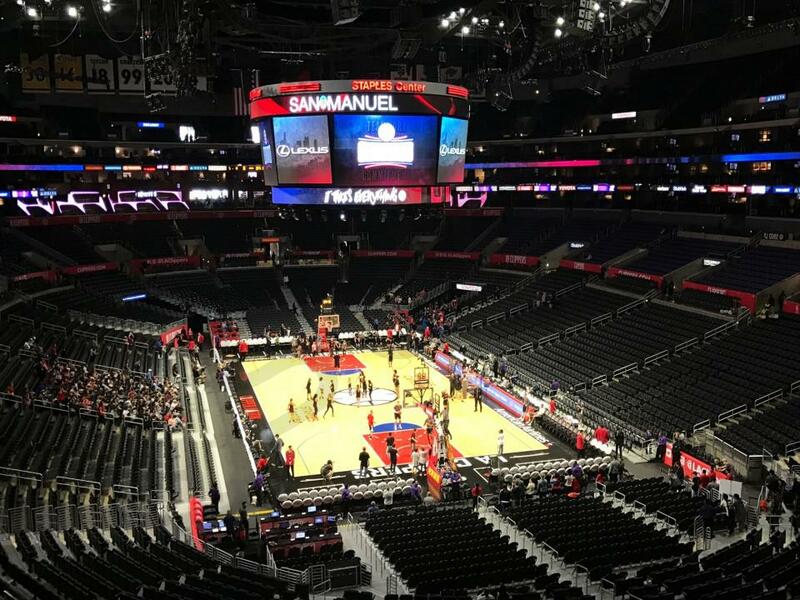 The passes will include free connections to the previously mentioned Metro bus that stops close to Staples Center. The AMTRAK train to Union Station will help get you to the center of Los Angeles where the Metro will be available. 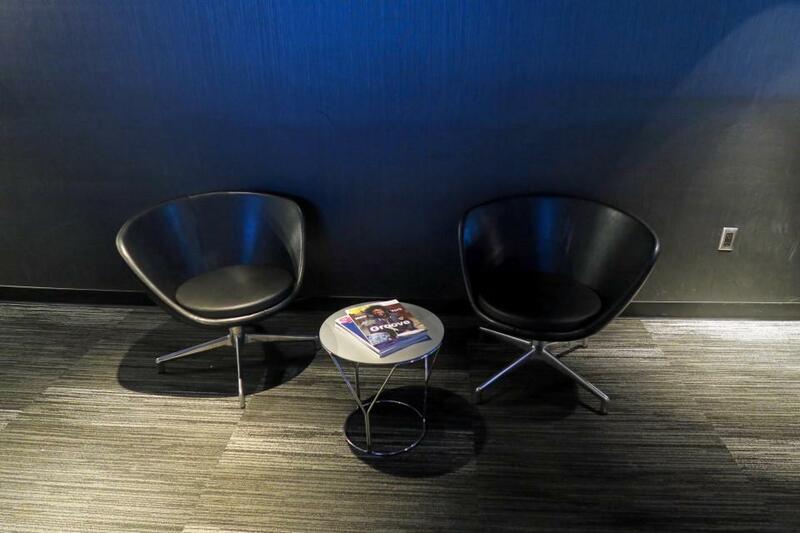 Private suites at the Staples Center come with 2 VIP parking passes. Additionally, you will have access to the VIP entrances and VIP Will Call Windows. Star Plaza VIP Entrance is located at the Corner of 11th St and Figueroa St. The Southwest VIP entrance is located between the 11th street and Figueroa entrances. 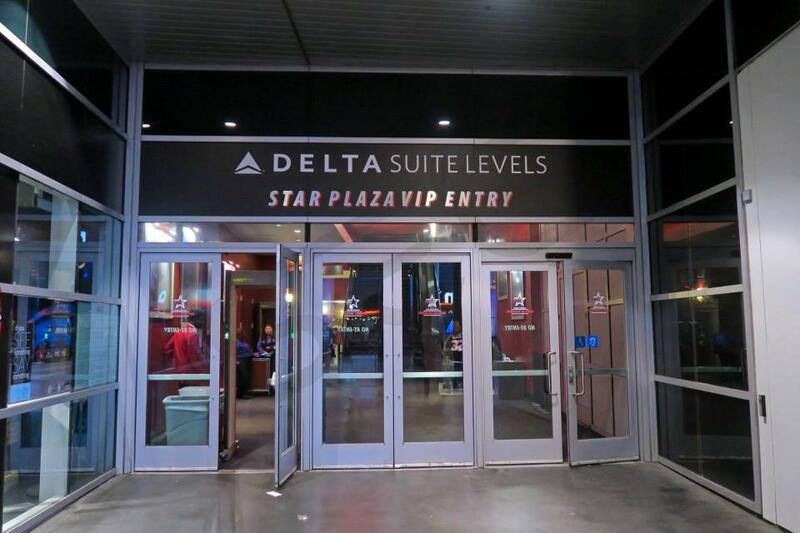 VIP entrances for suite ticket holders will generally open 2 hours prior to the event. 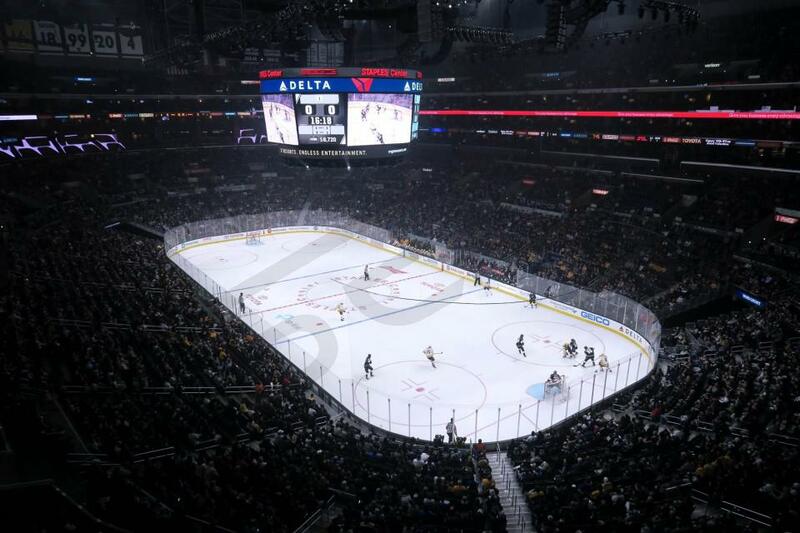 All fans entering the Staples Center will go through a metal detector screening. Any bags larger then 14” x 14” x 6” will not be allowed into the stadium. The Los Angeles Clippers retooled their roster in the off-season with every intention to compete in 2019. The era of Lob City may be over, but the Clippers are still poised to make a run at the playoffs in the wild Western Conference. The strength of the Clippers lies in the backcourt, where they have plenty of depth, scoring, and defense. Patrick Beverley returns from last year’s season-ending injury, and Avery Bradley re-signed on a two-year deal. Beverley and Bradley are two of the best defensive guards in the NBA, causing havoc on opposing ball handlers. When looking for an offensive punch, head coach Doc Rivers can turn to Milos Teodosic, the Euro point guard whose flashy passes bring fans off their seats, or Lou Williams, the reigning NBA Sixth Man of the Year. The youth movement is real too - LA drafted guards Shai Gilgeous-Alexander and Jerome Robinson with their two lottery picks in this year’s draft. The combination of veterans, rookies, shooters, and lock down defenders should make the Clippers backcourt one of the most interesting in the league. During the summer the Clippers traded for center Marcin Gortat in exchange for guard Austin Rivers. After a successful career in Orlando, Phoenix, and Washington, Gortat heads to Los Angeles as DeAndre Jordan’s replacement. He is a quality starting center who is excellent in the pick and roll and can finish well around the rim. Gortat is joined by Danilo Gallinari and Tobias Harris in the frontcourt. When healthy Gallinari is a great scorer and shooter, and Tobias Harris is one of the most underrated players in the game. Harris is a combo forward with versatility and the ability to score from anywhere on the floor. Despite losing former franchise cornerstones Chris Paul, Blake Griffin, and DeAndre Jordan in the past year, the LA Clippers are still here to compete. New acquisitions, a deep roster, and a summer to recover from last year’s injury-depleted season will help the Clippers in 2018-19. 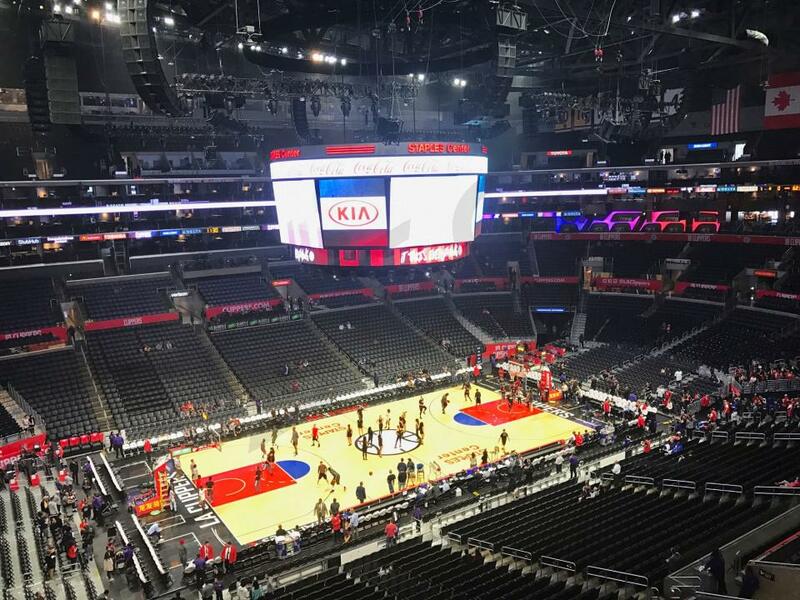 Catch the 2018-19 Los Angeles Clippers from a private Staples Center luxury suite. 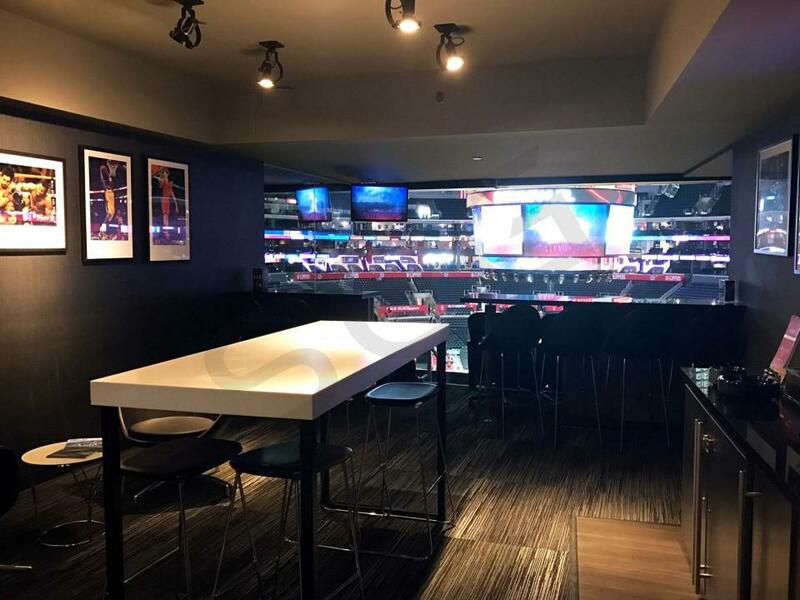 Staples Center offers three levels of suites including A, B and C. All levels include the finest amenities such as HDTVs, Wi-Fi, balcony seating, interior lounge seating, wet bar, premium in-suite catering options and dedicated suite attendant. 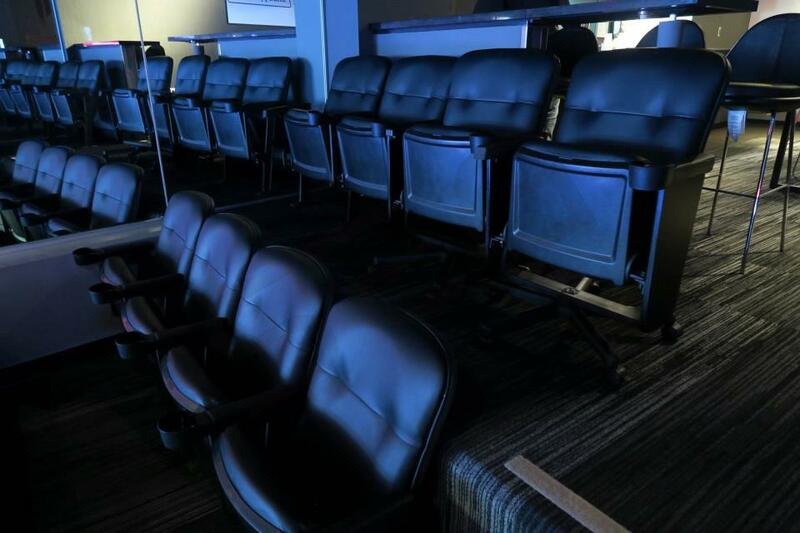 A Staples Center suite will also include VIP parking and exclusive access to the arena’s VIP lounges. 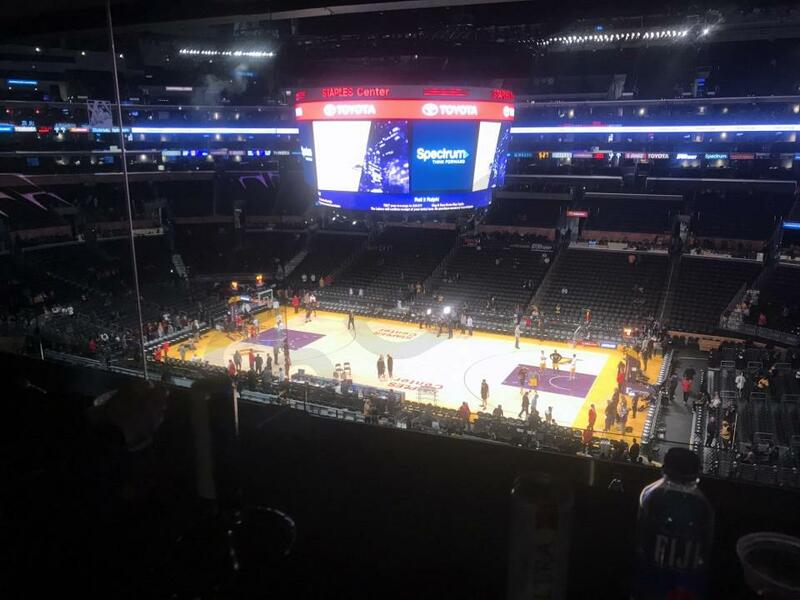 Whether you are interested in a Staples Center luxury box for business or for pleasure, the intimate setting provides a one-of-a-kind experience your guests won’t forget. The Los Angeles Clippers are now one of the premiere shows in LA. With DeAndre Jordan and Blake Griffin, the Clips have possibly the most terrifyingly athletic pair of big men in the league. Griffin beats teams with supreme skill plus the grace, agility and leaping skills of a much smaller man. Jordan’s game plan seems to be dunk over, around or on top of anyone he can, which works very well because he is 7’ 1” with insane athleticism. Jordan was a crucial member of the 2016 Team USA Olympic team that won gold, and was named to the All-NBA first team in 2016. The Clippers will look to compete in what once again looks to be a very deep Western Conference. With head coach Doc Rivers calling the shots, this team hopes to go on another playoff run. 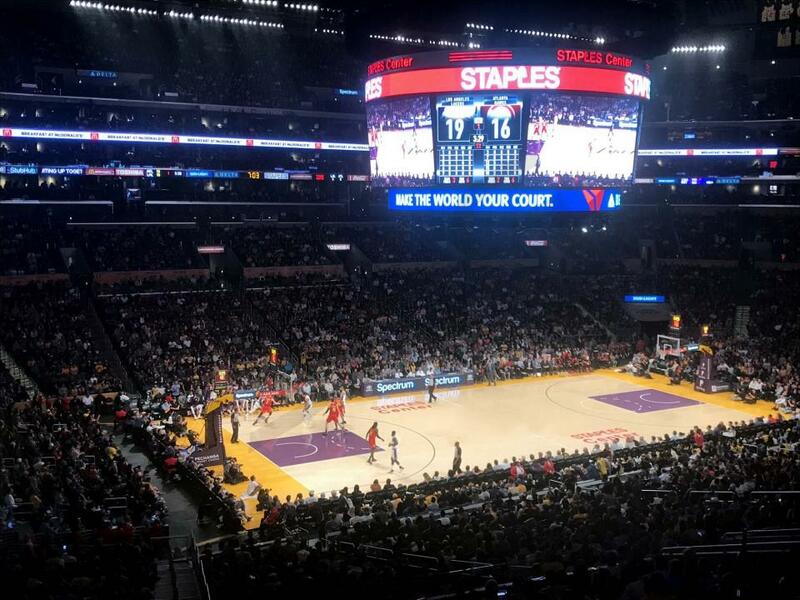 Catch the Clippers make a run at the championship from a private luxury suite in the Staples Center. 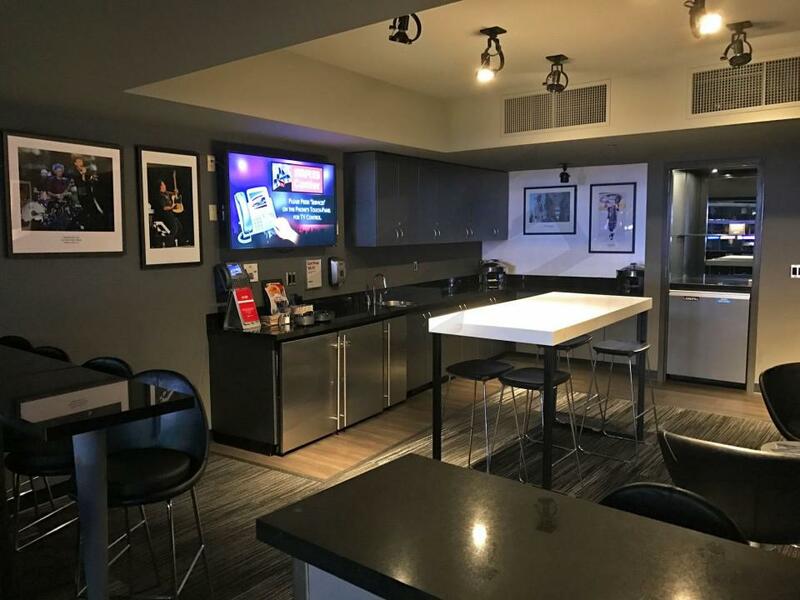 The Staples Center offers three levels of suites including A, B and C. All levels include the finest amenities such as HDTVs, Wi-Fi, balcony seating, interior lounge seating, wet bar, premium in-suite catering options and dedicated suite attendant. A Clippers suite will also include VIP parking and exclusive access to the arena’s VIP lounges. 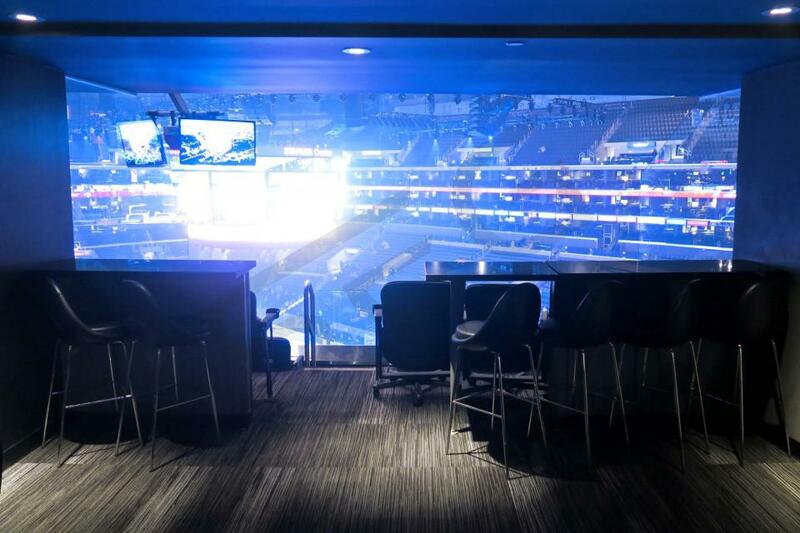 Whether you are interested in a Clippers luxury box for business or for pleasure, the intimate setting provides a one-of-a-kind experience your guests won’t forget. 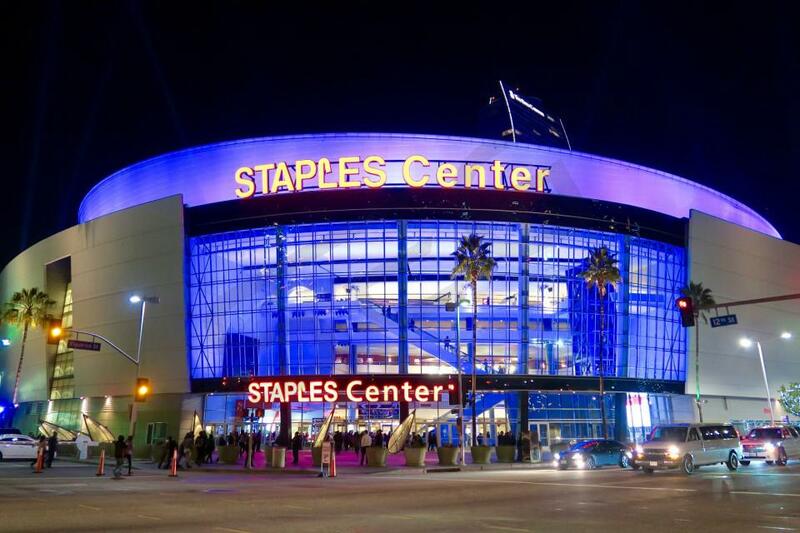 Besides Clippers games, Staples Center will also host Keith Urban, Drake & Future and Carrie Underwood. Thank you for signing up for specials at Staples Center. Enter your email address below to stay in touch. 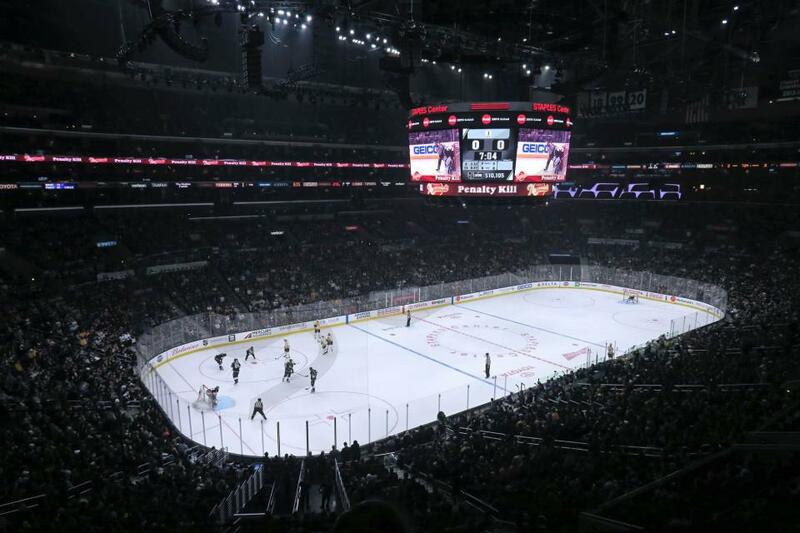 We'll sign you up for our newsletter, which will inform you of the latest inventory and events at Staples Center. We promise we will never sell or distribute your information. 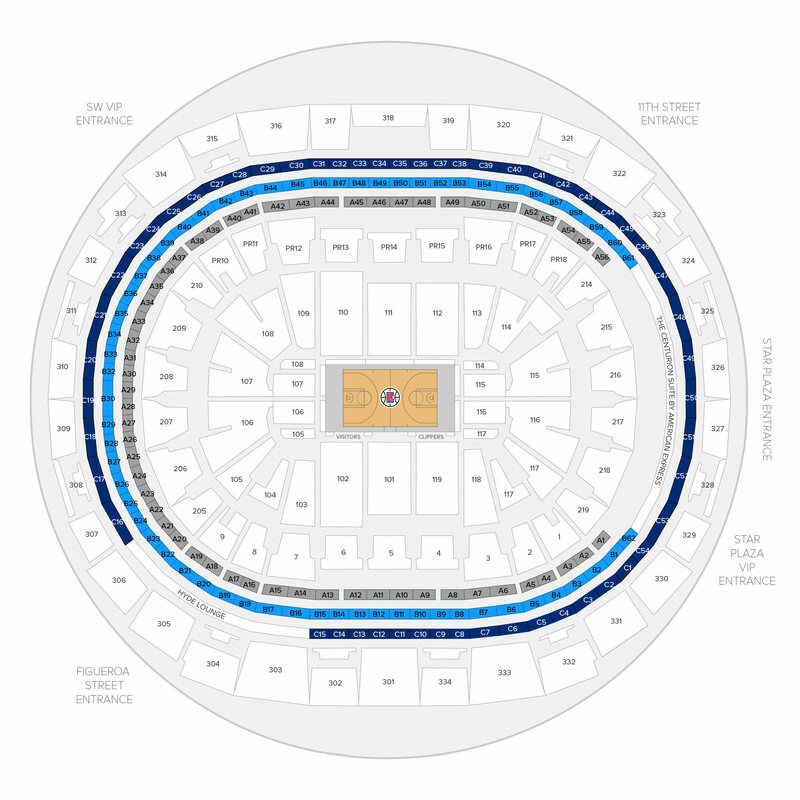 The seating chart below shows where the Los Angeles Clippers suites at Staples Center are located.